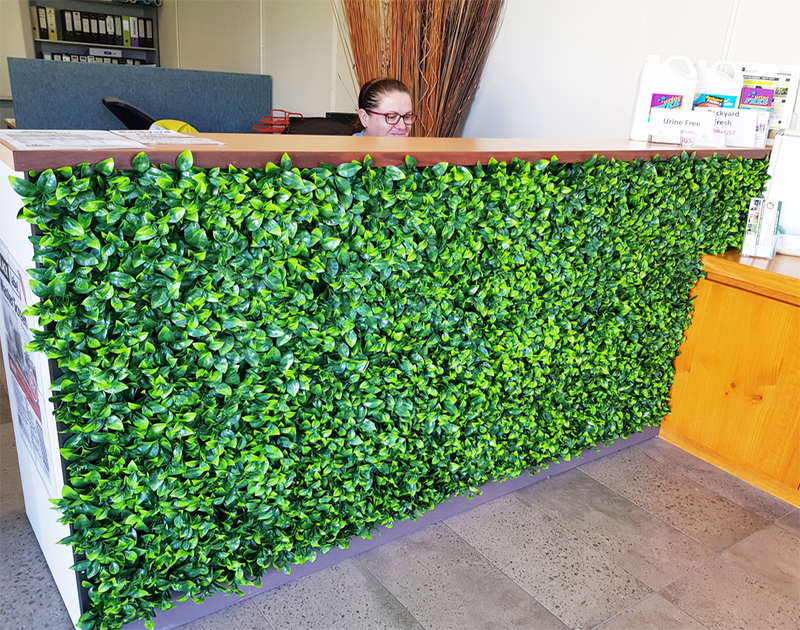 Did you know that by installing a vertical wall garden you could be enhancing your indoor office area? Think about entering the usual run of the mill office block… Lots of concrete. Lots of grey. Or beige. Or white. Lots of bright LED overhead lighting. Possibly a lot of glass doors, windows and walls. Perhaps even some exposed metal framework. Walls, floors, ceilings all most likely the same colour. An area like most other office areas. Nothing special, nothing standing out. Cold and empty, vast, echoey sounds reverberating off of the walls. You could hang massive artworks. Or buy very expensive and usually very abstract looking sculptures that may or may not enhance the welcoming feel of the building and fill up some of the empty spaces. Or, you could welcome people in a more friendly, relaxed, colourful way. You could install artificial vertical gardens on the interior walls. Get creative, you have so many options here! You could cover the entire wall. Use different types in different shapes and patterns. Create images. Create abstract art looking patterns. You could use strips of plants in horizontal or vertical panels. You could create a wave effect for the eyes to easily follow. You could use the same type of plants on a wall. Or, you could use many different types of plants to create a more varied look of different textures, colours and varieties. These features can also be used on the side of reception and welcoming desks and counters. Giving a different, very original and more welcoming look. If you have a big space to fill. The artificial vertical gardens will also help to absorb sound or noise pollution. Thereby, cutting out those noises often associated with large open areas. All in all, making the area warmer and more welcoming to those working there every day. To prospective clients, business partners, interviewers, and anyone else visiting and getting that first good impression of a new space.